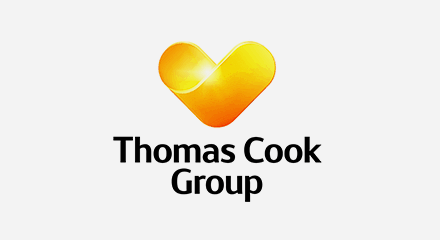 As one of the largest operators in the Nordic market, Thomas Cook Northern Europe encompasses six separate brands, including Thomas Cook Airlines Scandinavia and the Sunwing Family Resorts hotel chain. Approximately 210 travel consultants across Sweden, Norway, Finland, Denmark, Crete and Gran Canarias manage nearly 100,000 cases via phone, chat and email each month. Thomas Cook Northern Europe uses a CRM solution called One View, which gives travel consultants the same view as the traveler—regardless of how, where and when contact is made. The company needed a communication system that would integrate telephone calls, email and live chat without having to use nine separate systems. The Genesys PureConnect™ platform integrates all channels and their CRM solution in a single system. Since the PureConnect platform was installed, response times have decreased and travel advisors handle more interactions per hour. CRM integration ensures that travel advisors can access the same information about customers through any channel. With more features planned, Thomas Cook Northern Europe is on the road to continued success and improved customer satisfaction.